All the Free jQuery Plugins about 'one page scrolling' are listed here. multiScroll.js is an awesome jQuery plugin for one page scrolling website that allows to divide the web page into TWO vertical scrolling panels with navigation. Nav Scroll is a lightweight jQuery plugin that create a responsive one page navigation for animated page scrolling to specific ID within the document. 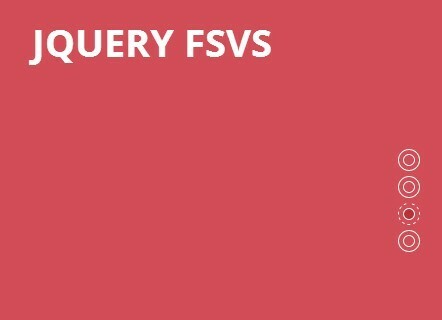 FSVS is a jQuery plugin for single page website that allows you to create a fullscreen vertical page slider with CSS3 transitions. A jQuery vertical full page scrolling plugin for presenting galleries of work, features & benefits of software or services, or anything else on your website. 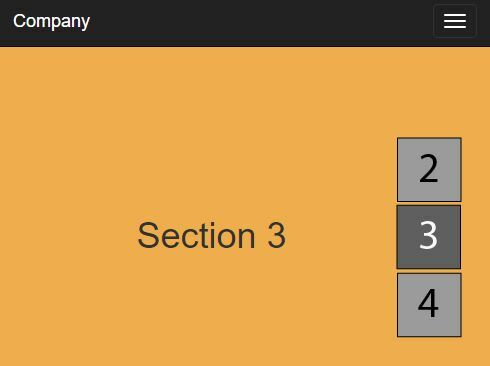 A jQuery plugin that generates a side navigation to indicate the user's current scroll position and allows for scrolling smoothly between sectioned content. Stacks is a dead simple jQuery plugin used to reveal stacked content sections when vertical page scrolling. Just another jQuery implementation of the popular, smooth one page scrolling effect for your fullscreen pages or single page web application. 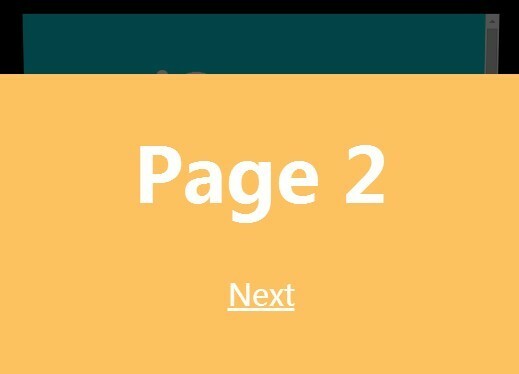 A small jQuery plugin that displays the reading progress and allows for switch between different sections of content very smoothly. AppLikeOnePage.js is a jQuery plugin used to create a full-window one page scrolling webpage with support for keyboard navigation, seamless scrolling and side navigation. 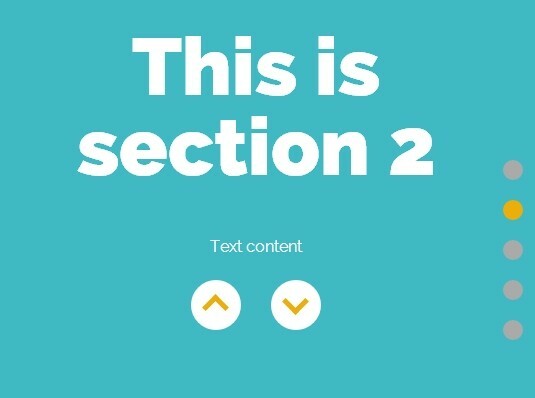 Section Scroll is a lightweight jQuery plugin for automatically generate a side bullet navigation on your one page scrolling website. XSwitch is a jQuery one page scroll plugin which allows horizontal or vertical scrolling within specified fullscreen elements, with touch swipe and mouse wheel support. Just another jQuery scrollspy plugin for one page scroll website that tracks the position of DOM elements and activates certain nav items when scrolling down or up. 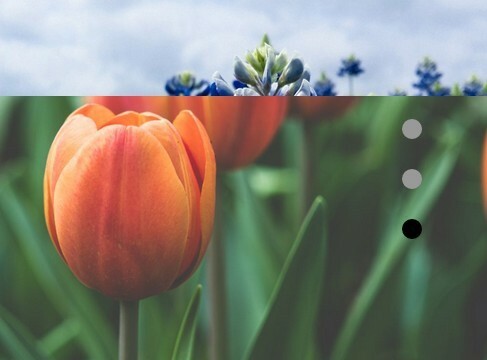 A jQuery plugin that generates a vertical side navigation from an arbitrary group of images for scrolling smoothly between page sections on your one page website. 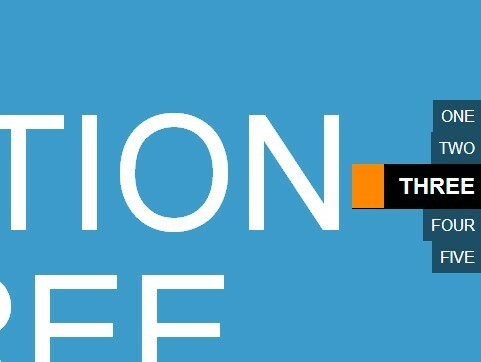 Offset Scroller is a jQuery plugin which implements smooth scroll functionality with custom offsets on anchor links and content sections within the document. Scroller is a simple lightweight jQuery plugin used to generate a sitcky navigation menu which allows for navigating between different sections of your page. Scroll Deck is a jQuery plugin to build scrolling decks for one page scrolling website that enable you to stack up and slide off pages using mouse wheel. 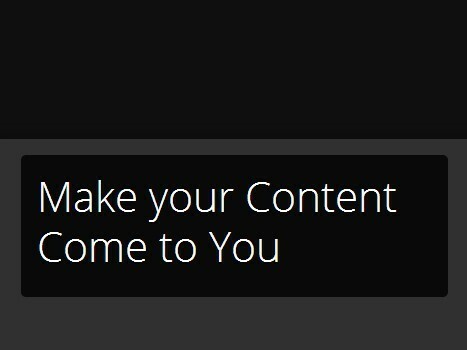 A plugin for generating a side navigation that displays the content section you're viewing on and allows to scroll smoothly through all different sections by click. RowScroll is a super tiny (~2k minified) jQuery plugin which provides smooth vertical scrolling effects for your one page website and single page applications. A jQuery plugin which uses custom images as a sticky vertical navigation for your long one page scrolling website. 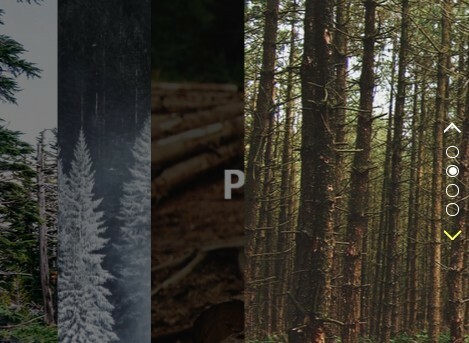 Rustic.js is a very small (5kb minified) jQuery one page scroll plugin which turns your long page with sections into a fullscreen, scrolling page slider. A lightweight jQuery plugin for generating a responsive side dot navigation / indicator for your one page vertical scrolling website or SPA (single page application). magneticScroll is a lightweight yet customizable jQuery one page scroll plugin which provides scroll-and-snap functionality for vertical page scrolling. Just another jQuery plugin created for fullscreen one page scrolling effect that helps you create step-based web applications such as page sliders and presentations. PageScroll is a jQuery plugin that allows the visitor to scroll vertically or horizontally through sectioned content of your single page website/application. An infinite fullscreen horizontal page slider which enables you present and navigate through web content with a fancy "Scroll-Jacking" effect. 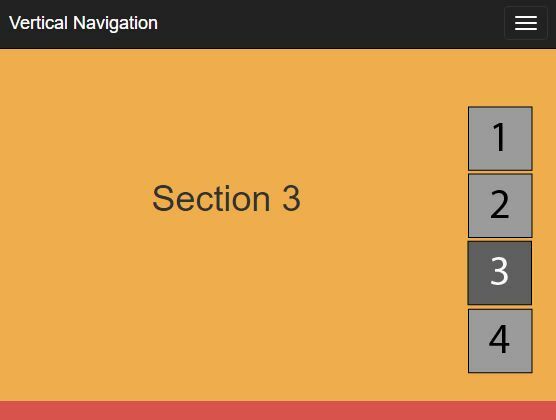 msNav.js is a jQuery plugin for adding a side navigation to the page that allows the user to scroll smoothly through different page sections with a subtle parallax effect. Menu Anchor is a jQuery plugin that automatically generates sticky anchor links which allow you to scroll smoothly through different sections on the vertical one-page scrolling website. A one page scroll webpage concept that makes use of jQuery and several CSS3 properties to create a fancy skewed page scrolling effect triggered by mousewheel events. HSlider is a cool jQuery plugin to create a responsive, fullscreen, horizontal page slider with CSS3 transitions and transforms. PageScroll is a jQuery plugin designed for one page scroll website that allows to smoothly scroll to second screen as you scroll down the web page. callToScroll is a jQuery plugin to create a fixed side menu which allows the visitor to navigate between your single page website quickly and smoothly. 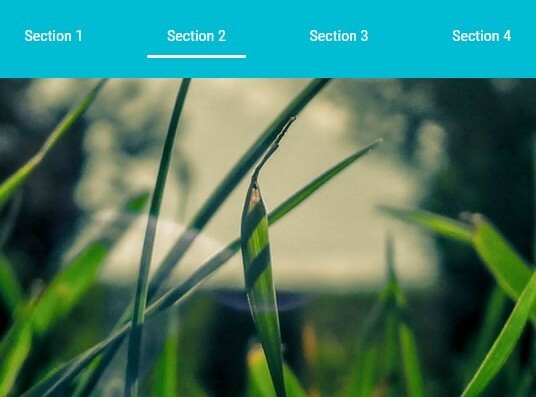 StickyStack.js is a very lightweight jQuery plugin for creating a page slider which allows you to scroll through a set of sections that will stack on top of each other. 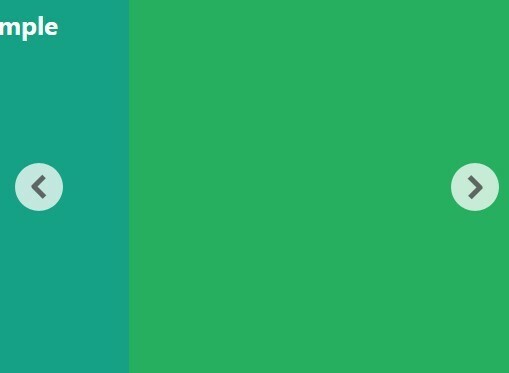 onepagescroll.js is a lightweight jQuery plugin that uses CSS3 transitions and transforms to implement a smooth one page scrolling effect with snapping functionality. ALXS Slidestack is a jQuery fullscreen page slider plugin that enables you to navigate through page sections with custom easing effects based on jQuery UI. Neo Pager is a robust and customizable jQuery plugin for generating a side navigation for your one page scrolling website. switchPage.js is a jQuery plugin for create a beautiful fullscreen scrolling website which allows you switch between sectioned pages with mouse wheel or keyboard arrows. 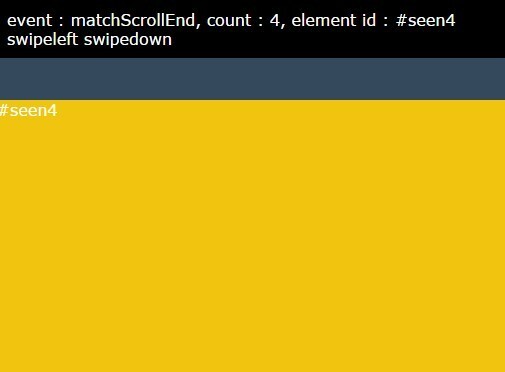 matchWindowScroll is a lightweight jQuery plugin that provides vertical page scrolling effects with mouse wheel, touch swipe and snapping support. A jQuery plugin which helps you create a responsive, touch-enabled, vertical page slider with smooth parallax scrolling effects. 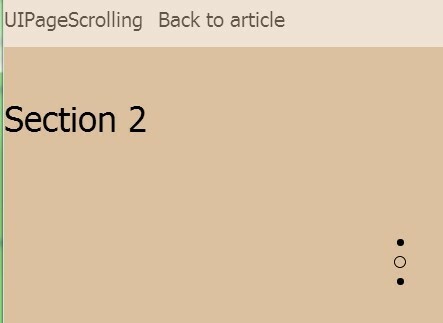 menuOnScroll is a jQuery plugin that detects the scroll position and adds an active state to the navigation menu indicating the current position. 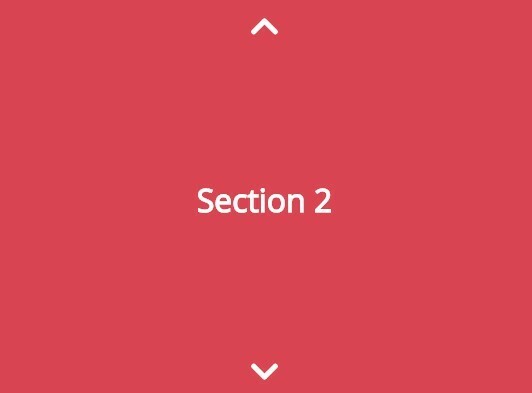 A jQuery plugin that allows you to scroll through different full-window sections through either mouse wheel or the bullets on the right side of this page. sKroll is a very small jQuery plugin to create a sticky & auto-update navigation for your one page scroll website. Just another jQuery one page scrolling plugin that allows the visitors to scroll infinitely & smoothly through your sectioned content with mouse wheel support. Just another jQuery plugin that enables the visitor to vertically and smoothly scroll through a set of content panels with mouse, keyboard and touch gesture interaction. A jQuery plugin that turns a set of elements into fullscreen blocks and allows the visitor to scroll between them with smooth animations. 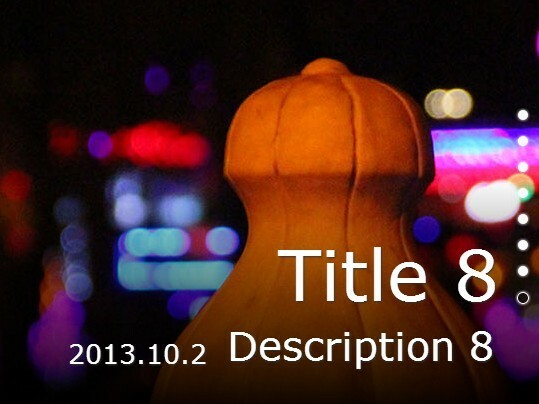 SiteShow is a jQuery plugin used to create a fullscreen slideshow for your single page website. 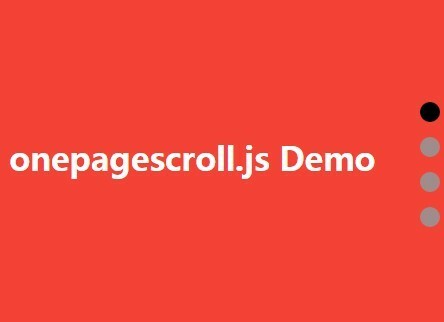 pagescroll is a super lightweight jQuery one page scrolling plugin that utilizes CSS3 3D transforms for page transition effects. 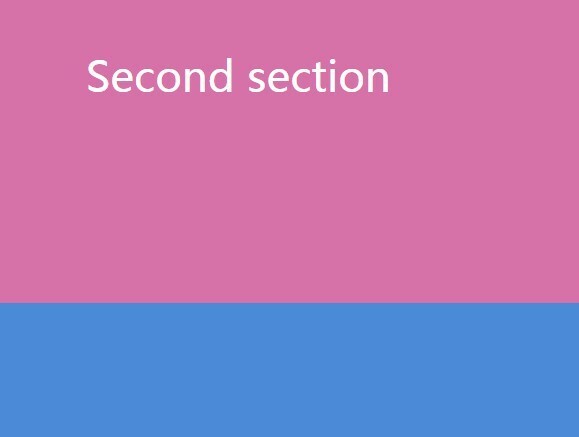 Scroll On Scroll is a CSS-less jQuery fullscreen vertical slider plugin that animates scrolling to the next content section of your webpage when scrolling down. 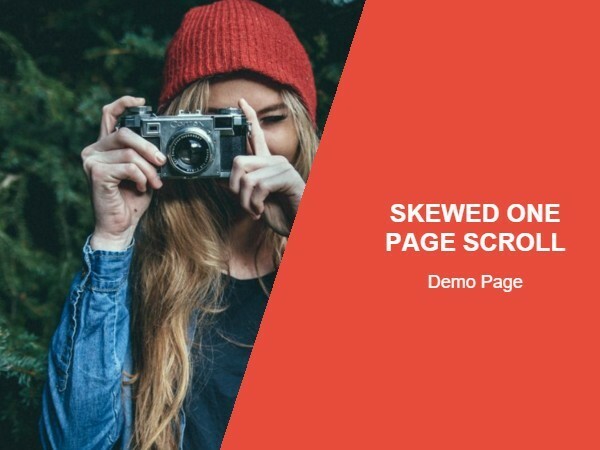 fixedScroll is a very small jQuery plugin that implements fixed full page parallax scrolling effect on your single page website / web app. OnePageR is a lightweight jQuery plugin for easy implementation of smooth, mobile-friendly vertical scrolling with sectioned content. 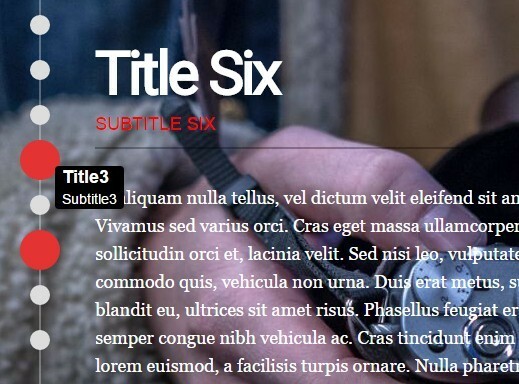 A jQuery & CSS3 powered fullpage parallax scrolling effect that comes with a side dots navigation. scrollview.js is a simple-to-use jQuery plugin used to create smooth vertical or horizontal fullscreen scrolling effect for one page website / web application. A jQuery vertical scrolling plugin which allows you to scroll through a set of full screen sections by mouse wheel or by navigation links. 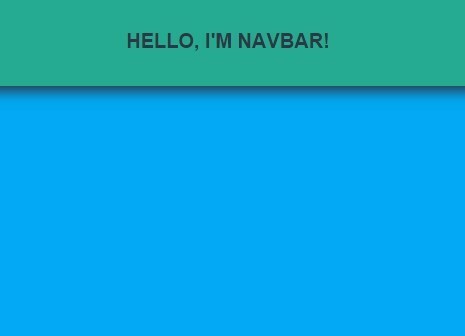 Nav Highlighter is a simple jQuery script that updates navigation menu automatically when you scroll. Hash Magic is a lightweight jQuery plugin for creating a smooth one page scrolling website with support for hashChange event. pageNav is a very simple-to-use jQuery plugin for creating top navigation for one page scroll website like App landing page. Scroller.js is a jQuery plugin to create anchor links which scroll the webpage to desired content section smoothly. A jQuery plugin that provides fullscreen vertical page scrolling with sectioned content and snaps to next section after user scrolls. Creating a fullscreen one page scrolling web page with a 3D curtain effect that reunites a list of split DIV blocks using CSS3 and jQuery. A jQuery plugin to generate a vertical sidebar navigation with anchor tags which allow you to scroll to associated content sections with smooth animations. A minimal plugin to animate scrolling to desired content sections smoothly, with support for easing effects and snapping functionality. vPageScroll.js is an easy yet robust jQuery plugin to create a responsive grid layout for one page scrolling website. 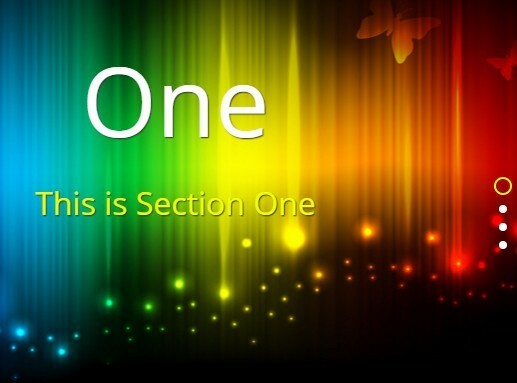 Section Snap is a jQuery plugin designed for one page scrolling website that provides window snapping functionality to a set of content sections. Switch Styler is a tiny jQuery plugin used to switch CSS classes of fixed positioned elements as they're scrolled to cover the target elements. Just another simple jQuery plugin used to implement modern full page smooth scrolling for your one page website. spaNav is a lightweight jQuery plugin for generating a sticky top navigation bar which allows to smoothly scroll to different sections of your one page website/App. SekerolPoin is a minimalist jQuery plugin to create full window 'snap to' scrolling effect to enhance the scrolling experience of your single page website. Scroll Page is a small jQuery plugin which allows you to scroll through content panels of your web page via mouse wheel or next/prev controls. ninjaScroll is a full-page snap scrolling plugin that allows you to scroll through a web page with window snapping functionality. 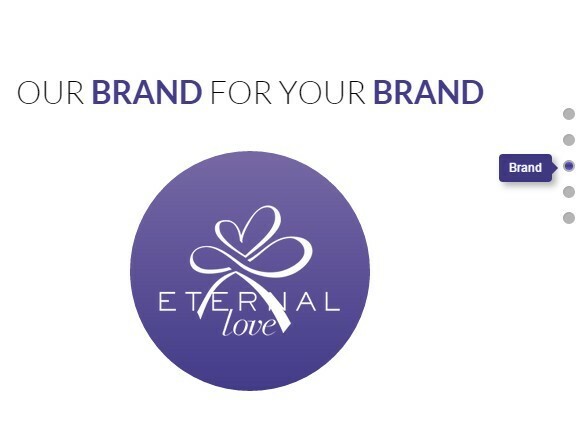 A full page one page scrolling web page layout with right side dots/arrows navigation and smooth 3D flipping effects. 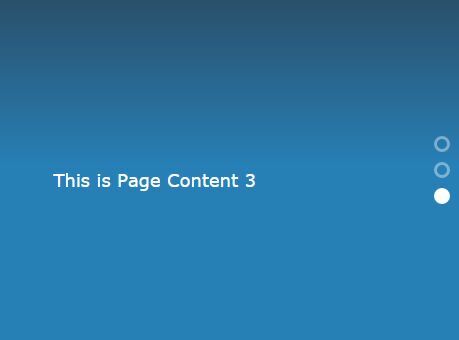 wankyPages is a jQuery plugin designed for one page website which allows you to slide through page sections with fancy 3D CSS3 transitions. goMover is a simple and easy jQuery plugin that helps you create a one page scrolling website with smooth sliding effects. One Page Scroll is a fashion and fast jQuery plugin for creating responsive full-screen one page scroll effects with dots navigation, similar to the new Apple iPhone 5S / 5C website. Multi-Screen.js is a lightweight jQuery plugin for creating a fashion single page website that allows the visitor to navigate through content sections with vertical and horizontal transition animations. Smooth Scroller is a super light jQuery plugin to generate anchoring links which allows to smoothly scroll to corresponding content sections. Scroll Nav is a jQuery plugin designed for one page scrolling website that generates a side navigation to indicate which page section you stay in. 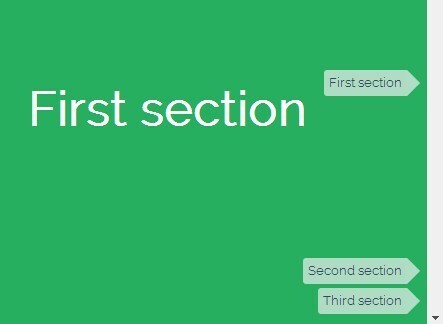 sectionMenu is a jQuery plugin for creating a side navigation which allows you to smoothly scroll through different sections on one page. singular.js is a lightweight jQuery plugin to split a single webpage into several sections so you can scroll through these sections on one page by mouse wheel or dots/arrows navigation. 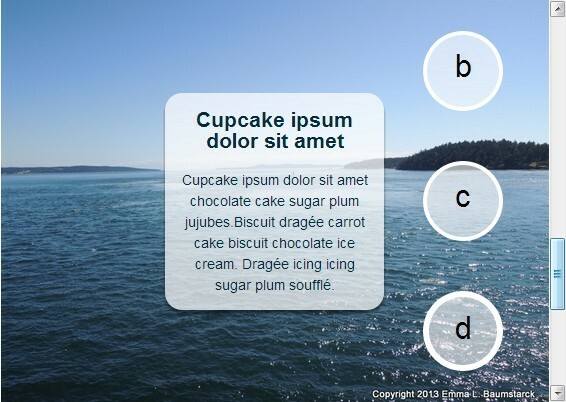 Simple Slides is a jQuery plugin that turns a single page into several slides so that the visitor can navigate through these sides by clicking the arrow navigation or using keyboard shortcuts. 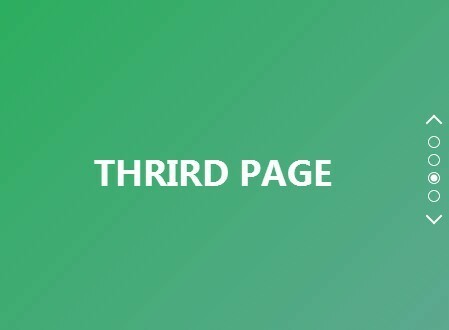 pageslider is a jQuery plugin which allows the visitor to use mouse wheel to navigate between different sections/slides of your web page with a Parallax-like scrolling effect. fullPage is a powerful, multipurpose jQuery & jQuery UI plugin to create a fashion one page fullscreen scrolling website with snapping functionality. 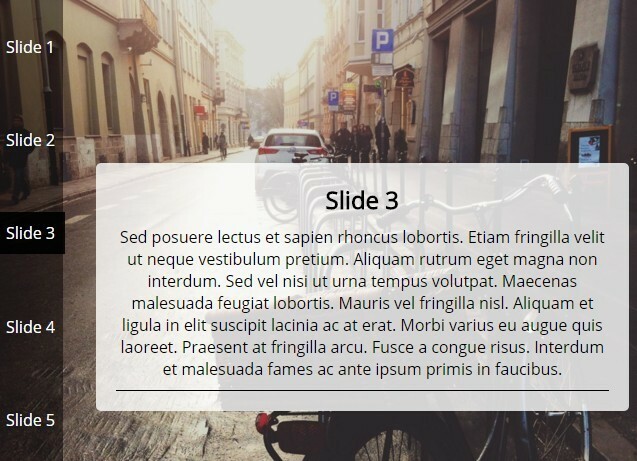 StackingSlides is a super simple jQuery plugin for creating a nice one page scrolling effect that features all the slides will stack on top of each other, a little similar to the parallax background effect. Scrolld.js is a highly customizable plugin for jQuery and jQuery UI that provides a way to create one page scrolling with amazing smooth animation effects. 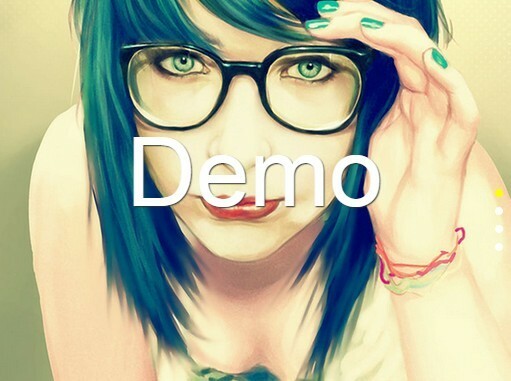 singlejs is a simple jQuery plugin that helps you to create single page websites with automatically images resizing.